For the past 20 years, traditional eastern medicine has continuously proved its effectiveness in treating anxiety. Previously successful methods include the NADA protocol of Auricular Acupuncture which was applied to treat withdrawal symptoms from drug addiction and anaesthetic acupuncture was tested positive as an option to reduce the injection of narcotic drugs (GA) and expensive medical costs. TEM strives to perform alongside western medicine in the best interest of the patient and better efficacy of the prognosis. 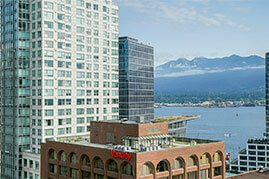 GreenLeaf Clinic has actively engaged in TEM’s mission for ten years, here in the heart of downtown Vancouver. 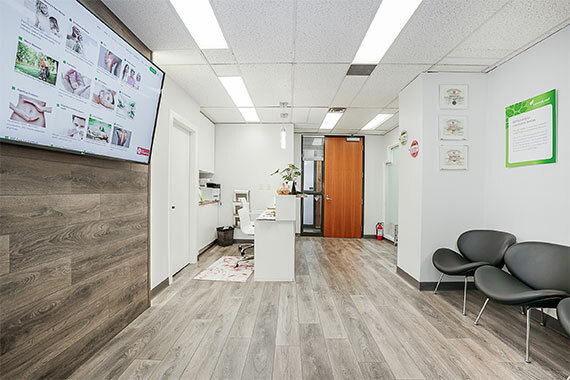 For the past ten years, GreenLeaf Clinic has been successfully treating anxiety through the use of acupuncture and herbs. Although the western diagnosis is anxiety, the TEM diagnosis is far more specific and dimensional. Thus, our treatment protocol begins the diagnostics process through a customized patient history form and a detailed assessment of physical symptoms with each patient. The treatment requires three to six months of continuous care. There are many different types of drugs used to treat anxiety. A commonly used anti-anxiety drug such as Benzodiazepine is prescribed for short-term relief. Selective serotonin reuptake inhibitors (SSRIs), such as citalopram (Celexa), escitalopram oxalate (Lexapro) and fluoxetine (Prozac) are newer options for anxiety, and often prescribed for longer-term use. Sadly, anxiety medication is known to relieve, not cure. The AAFP (American Academy of Family Physicians) states that Benzodiazepine will lose its effectiveness within 4-6 months of drug use, and most patients move on to SSRIs. According to Harvard Health publishing, SSRIs is a ‘generally’ safe drug but can be accompanied by side effects such as insomnia, rashes, headaches, joint and muscle pain, stomach upset, nausea, and diarrhea. Thus, many doctors actively suggest other therapies (ex. acupuncture, aroma, yoga, meditation, etc.) that aim for the cure. Eastern medicine cures (yes, we said it) anxiety by treating physical symptoms that arose with and before anxiety. Anxiety is often associated with depression and insomnia, but according to the theory of eastern medicine, other physical symptoms such as chest oppression, indigestion, skin problems, acid reflux, nausea, constipation, diarrhea and irregular periods are also correlated to anxiety. Of course, some of these symptoms are common side effects of anxiety drugs, and yes, that means eastern medicine can treat drug dependency as well. To find out more about how eastern medicine treats anxiety along with your other health issues, click on the link below to read our case reports and testimonials! Many patients visit the clinic to treat anxiety as well as to wean off drug dependency. With your physician’s guide, you need to gradually reduce the dosage of drugs prescribed and give some time for the body to work by itself again. A combination of acupuncture and herbal medicine works in harmony to address physical symptoms and care for emotional well-being. Elizabeth(pseudonym) has been stressed from relationships between her co-workers lately. She often feels heat flaring up to her face and palpitation during meetings, which makes her hard to converse normally. Even after she comes home, it is hard for her to calm down and it takes her 1-2 hours before she falls asleep. She also experiences frequent heartburn and occasional abdominal pain. Elizabeth is currently showing typical symptoms of SNS (sympathetic nervous system) hyperactivity. SNS comes into action when we have the flight-or- flight response (aka acute stress response.) For example, we confront a bear in the woods. To fight or flight, we require a large amount of blood supply to the muscle tissues, and our heart rate goes up to pump more blood. Thus the patient experiences palpitation. Increased blood flow to the muscle tissues naturally reduces blood supply to the gastrointestinal system, because digesting food matters very little when we are in life or death situation. Thus, digestive issues arise such as loss of appetite, heartburn, bloating and acid reflux altogether with sleep problem from being very alert to changes (confronting stress or a bear) to her surroundings. Certainly, not everyone rapidly reacts to stress like Elizabeth. We know that there is always one friend who can sleep through a fire alarm without a problem. Thus, those who are hot-tempered, strongly opinionated easily develop symptoms like Elizabeth. Of course, patients who are introverted can also suffer from hyperactivity of SNS, but they will not show skin sensitivity or red face (heat flare up to the face.) Three herbs were mainly used to treat Elizabeth: Huang Lian (Rhizoma Coptidis), Ban Xia (Rhizoma Pinelliae Tematae) and Gua Lou Shi (Fructus Trichosanthis Kirlowil). Huang Lian is an extremely bitter herb that is often used calm down the hyperactivity of SNS. Ban Xia is an effective herb for nausea and acid reflux by regulates secretions of mucosal tissues. Lastly, Gua Lou Shi is an excellent herb for relieving chest tightness and pain. Combination of these main herbs and other supplementary herbs greatly reduced the symptoms that Elizabeth had and after three months of weekly continuous acupuncture and herbal treatments, all of her symptoms disappeared. Jessica(false name), in her early 30’s, has been suffering from anxiety disorder for two years. When she is stressed or nervous, she gets palpitation, breathless and especially, digestive issues in which she experiences bloating and nausea frequently. Daily errands such as getting groceries can be difficult for Jessica because she feels nauseous and gets palpitations when she is in a crowded area, She gets cold easily, frequent urination and severe menstrual cramps. Moreover, she is introverted and prefers quiet places where she can spend her time alone. Jessica has a hard time falling asleep, and caffeine intake interferes her sleep even more. She has a slender body with fatigue and low stamina. Anxiety is typically caused by hyperactivity of Sympathetic Nervous system(SNS). SNS hyperactivity occurs in two situations. First, there is an exaggeration of the sympathetic nerve itself due to external stimuli such as stress. Second, the function of the parasympathetic nervous system(PSNS) that suppresses the sympathetic nervous system, is declined, and the SNS is relatively hyperactive. Sympathetic hyperactivity is easy to understand when we imagine confronting a bear in the woods. To fight or flight, we require a large amount of blood supply to the muscle tissues, and our heart rate goes up to pump more blood. Increased blood flow to the muscle tissues naturally reduces blood supply to the gastrointestinal system, because digesting food matters very little when we are in a life or death situation. Immediate judgment continues to be asked where to run. When the bear leaves, the PSNS, which plays a role in restoring the heart rate to normal and relieving the tension in the muscles, does not function accordingly. Even when the bear is no longer around, our body feels as if we are still in the presence of a bear. The smallest sound, smell, stimulation, and stress will make your body react too quickly. Naturally, Jessica is suffering the hyposensitivity of the PSNS, the second type of Sympathetic hyperactivity. This type of patients are often introverted and enjoys staying in a quiet place where the patient can be alone because any form of stimulus can aggravate the SNS. Jessica was prescribed a medicinal herb called “Fu Ling(Poria/ Scierotium Poriae Cocos).” Fu Ling is a sclerotium that grows like a lump on the root of pine trees that has been lumbered several years back. It is found skewing around the stalks of pine trees(20 to 50 centimeters deep.) Fu Ling has long been used as a diuretic and mental stabilizer, but it also has a strong activating effect when the PSNS is down. It nourishes all the cells in the body, activates brain cells, and helps to stabilize the mind. After three months of continuous acupuncture and herbal treatments, Jessica’s symptoms due to the anxiety disorder have all disappeared. Maggie(false name), in her early twenties, is experiencing a panic disorder after a robbery incident a few years ago. She is fine in general, but when she is stressed or alone in a quiet area, she starts to feel breathless, palpitation and trembly. Since this doesn’t happen very often, she thought it would get better eventually. Recently, however, the panic attack became more frequent. Other than the panic attack, Maggie has frequent urination, diarrhea and constipation that alternate, and hands and feet that are cold and numb. She is scared easily, has dry mouth and gets hot flash sometimes. A panic disorder is one of PTSD(Post-traumatic Stress Disorder) that occurs after an accident or incident that is not easily experienced in everyday life like Maggie. Not only after a robbery, assault, hostage incident, natural disaster, fire, motor accidents, war and similar traumas also lead to PTSD where soldiers are especially vulnerable to the disorder. Like Maggie, they often suffer insomnia, are terrified, startled frequently. Sudden panic attacks trigger palpitation and breathlessness, and reoccurring symptoms can lead to depression. To understand the PTSD that Maggie is experiencing, we must take a look at the function of the ‘amygdala’ in the brain. Amygdala is known to detect fear and prepare for emergency events. For example, rabbits will perceive life threats when they encounter wolves. At this point, the amygdala is activated. It sends a danger signal to the hypothalamus, and the sympathetic nerves in the affected area are excited, accelerating the heart rate (chest pounding) and breathing rate because of the extra oxygen needed to make more energy that allows the rabbit to run away with all its strength. In modern society, it is common for humans to encounter such situations that activate the amygdala. Therefore, when an amygdala is overactivated due to a traumatic experience, it becomes difficult to stabilize on its own. Meggie was in a quiet, deserted setting when the amygdala was activated after being robbed, and then the memory of that experience triggers her fear response (amygdala) automatically when she is in a similar situation or surrounding, even when there is no danger on sight. Eastern medicine in the treatment of PTSD focuses on stabilizing the hyperactivity of this amygdala. The two herbs, Long Gu (Fossilia Ossis Mastodi) and Mu Li (Concha Ostreae) are often used as calcium medicines. Excitable cells such as neurons are susceptible to changes in the concentration of calcium ions, and large amounts of calcium ions activate the calcium channel in the amygdala, leading to a marked change in the amygdala. Thus, maintaining calcium homeostasis reduces the feelings of fear and anxiety. After taking a Long Gu and Mu Li-based herbal medicine for two months, all of her symptoms have disappeared. In her early 20s, Emilie (false name) has been suffering from severe depression for two years. Having trouble adapting to school and a new environment, she sighs frequently, experiences stuffiness(tightness) from the pit of her stomach to all around her chest, loss of appetite when she is stressed, has indigestion and feels dizzy after eating. She gets hot flashes and she has no energy when she is in a hot environment. Emilie doesn’t have any problem falling asleep, but she feels very tired when she wakes up in the morning no matter how long she sleeps. She also tends to get constipated a little, has low stamina, and all the symptoms worsen prior to menstruation. Nowadays, there is often feelings of alexithymia beyond traditional depressive symptoms, leaving the patient with little to no emotional expression or feeling. Like Emilie, presenting a combination of the psychological symptoms and physical symptoms as mentioned above are quite common in other neuropsychiatric patients suffering from insomnia and panic disorders. In severe cases, the patient feels the need to pound his or her chest to relieve the stuffiness whereas some mild cases will only show as frequent sighing as signs of chest tightness. This symptom is a common manifestation when there is stagnation of the vascular and lymphatic circulation in the chest. The presence or absence of this symptom is used as an index to distinguish neuropsychiatric diseases. In many cases, the symptoms that Emilie complains about are treated with herbs called Zhi Zi (Gardenia, Cape Jasmine Fruit, Fructus Gardeniae Jasminoidis) and Zhi Shi (Immature Fruit of the Bitter Orange, Fructus Immaturus Citri Aurantii.) Gardenia is a medicinal herb that is used as a natural dye due to its beautiful and vibrant color. It clears the congestion of the blood vessels and promotes smooth bile secretion. The young fruit of bitter orange contracts the myocardium and promotes cardiac output to boost circulation in the chest. It stimulates the peristalsis of the intestines and helps digestion. In particular, synephrine – similar to ephedrine, but less potent – the bitter orange is found to act as an antidepressant currently being developed as a new antidepressant. Young bitter orange is the most effective medicine that can be used to reduce chest tightness and indigestion. Emilie was treated with acupuncture treatments and herbal medicine consisting of Zhi Zi (Gardenia) and Zhi Shi (Young Bitter Orange) for three months, after which all her symptoms improved and the treatment was terminated. Emilie’s main symptoms of depression such as, chest tightness, and indigestion also significantly improved, as well as all the other symptoms described above.